Girls bring your 18” doll or equal size teddy and come craft all things mini and Valentines for your doll! 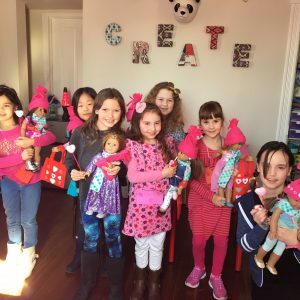 Craft a doll sized mailbox with valentines and letters, fuzzy ear muffs, and more! Drop off pick up. Pack a nut free back lunch. $68 per girl, all supplies included.